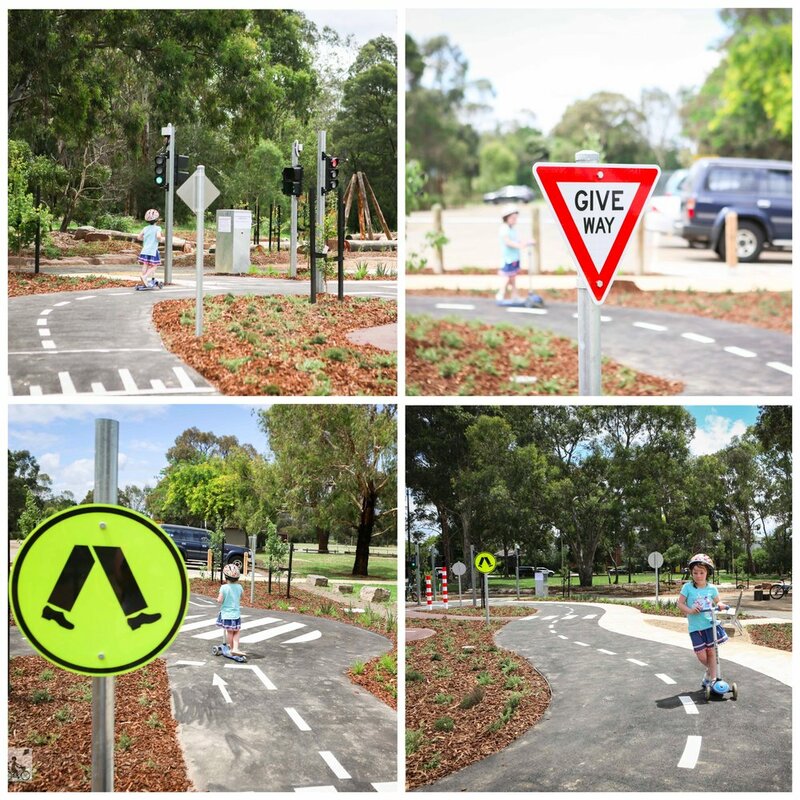 We have been looking everywhere for a traffic school like this and it has JUST landed in one of our all time favourite playgrounds - Marie Wallace Baywater Park (or as the locals know it - the Train Park). 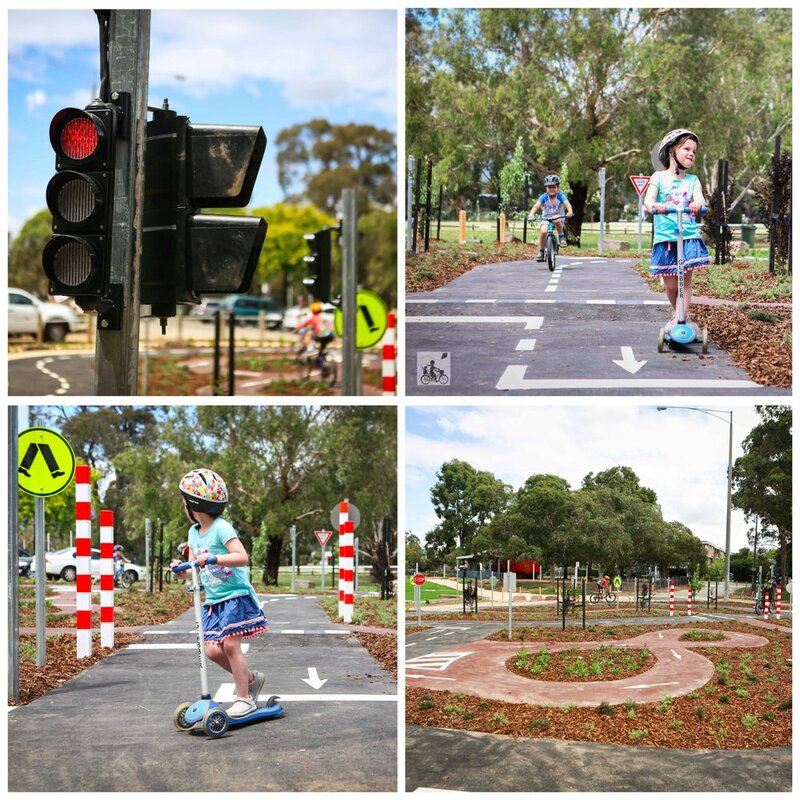 This simple bike training area is a loopy design, nice and smooth, and ideal for learning to ride those bikes and scooters that the preschoolers just love. The track is equiped with traffic signs and line markings so everyone gets to practice those road riding skills without having to be anywhere near an actual road. Most significantly the REAL traffic lights. There is also footpaths and pedestrian crossings which helps supervising. It was a joy to watch how the kids begin to explore the space and work out how the different sections need to be navigated. By the end of it, they are ignoring the traffic lights and burning up the track, hugging the corners as they fly past! Mamma’s special mentions: You can’t come just for the scooter track. You have to go and explore the Train Park too!